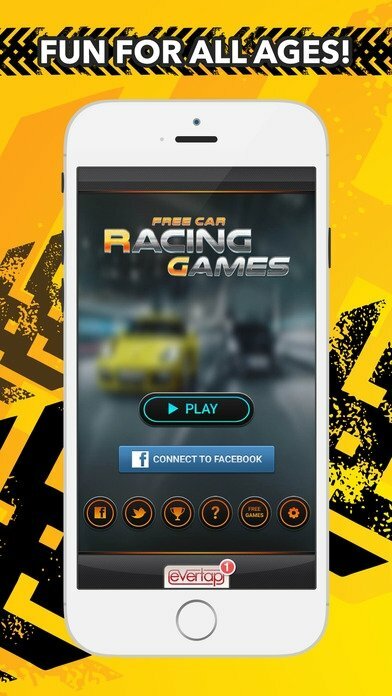 Car games have always had a very loyal audience on any platform, whether PC, video console or modern mobile devices. There are all kinds of car games (simulation, races, sports management, etc. ), some of which are more realistic than others, but they all have the same idea: to place us behind the wheel of a car to do all sorts of stupid things that we'd never do in real-life, and without putting our life or the integrity of our car at risk. The most addictive car game at present. And here comes the title Car Racing Games for iPhone and iPad, a very addictive game in which you'll hop into a car and race around endless roads at full speed, adding points to your score for every meter you advance without crashing and in which you'll have to prove great reflexes and plenty of skill. Endless car racing game with a top-down view. Try to advance as much as possible without crashing and destroying your car. Avoid colliding with other vehicles such as cars, motorbikes and trucks. 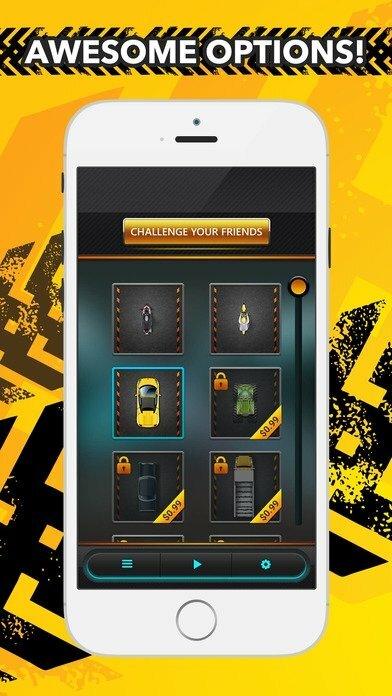 Unlock new vehicles to race around the city with. Don't let the helicopters, clouds or puddles hinder your vision of the road. 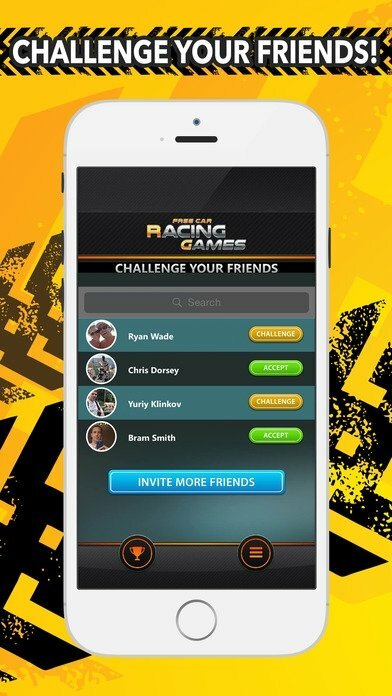 Social functions to challenge your friends and share your scores. 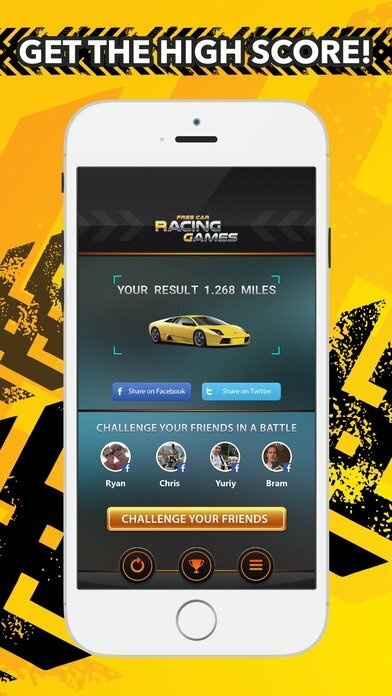 Which is the best racing game for iPhone? The truth is that we really don't know, but it's definitely not this one. 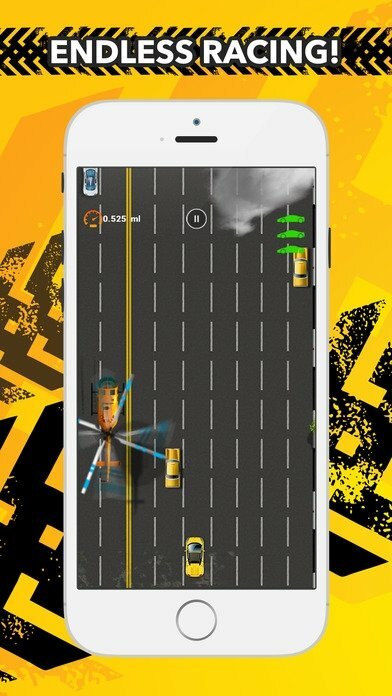 It's a decent game to have fun for a while, racing around streets at full speed while dodge obstacles and have helicopters hovering over us, but it's not even close to the best car games for iPhone and iPad, such as Need For Speed, Asphalt, Real Racing, GT Racing or Fast & Furious, to set a few examples.